Today – March 18, 2019 – I’m officially launching my ROTATION MASTER CLASS. In this video I’m giving you a preview of some of what is in that masterclass, PREREQUISITES. By prerequisites I mean what do you need to do FIRST to be able to rotate? The baseline theory here is you have to do things in your swing and that give your brain motivation to rotate. I know I have to rotate - that's important. I know I have to do some things to increase my odds of rotation. What is the most important thing to increase odds of rotation? The clubface is the most important part. If you are making a golf swing - regardless of who you are - and your clubface is open specifically during the downswing, the odds of you rotating a lot are very slim. Your clubface plays a huge role in everything. It's the biggest factor by far in everything you do in your swing and rotation is part of that. If you want to rotate more, you have to have your clubface square or closed. Grip is the first thing that my cause my clubface to be too open. The weaker my grip is - the more my hands are turning counterclockwise on the club - the more my clubface wants to be open throughout my swing. Number two cause of an open clubface is wrist conditions. The more your lead hand gets cupped throughout your swing, the more the club face and wants to be open. Cupped lead wrist means clubface open. Clubface open means no rotation. And then the last part I would really look at would be arm rotation. How much you rotate your arms during your swing will change the clubface. That's what you need to look at to see if you're doing it. And you cannot simply just try and feel those things. You need feedback. How do you know which one of those things is leading to your clubface being open? If you don't give yourself feedback, you don't know. Don’t guess on any of these things. This video is maybe five minutes of us talking about one of like the 19 or 20 topics that are in the ROTATION MASTER CLASS. When you go through that masterclass, you understand what relates to you and you know what to work on. If you're watching this and you've been doing rotation drills or have been trying to rotate for a month, a year, a week, ten years, whatever, and you're not able to rotate, I would be willing to bet you're doing something earlier on that's causing that. The ROTATION MASTER CLASS will explain all of that. I know I have to rotate – that’s important. I know I have to do some things to increase my odds of rotation. What is the most important thing to increase odds of rotation? The clubface is the most important part. If you are making a golf swing – regardless of who you are – and your clubface is open specifically during the downswing, the odds of you rotating a lot are very slim. Your clubface plays a huge role in everything. It’s the biggest factor by far in everything you do in your swing and rotation is part of that. If you want to rotate more, you have to have your clubface square or closed. Grip is the first thing that my cause my clubface to be too open. The weaker my grip is – the more my hands are turning counterclockwise on the club – the more my clubface wants to be open throughout my swing. That’s what you need to look at to see if you’re doing it. And you cannot simply just try and feel those things. You need feedback. 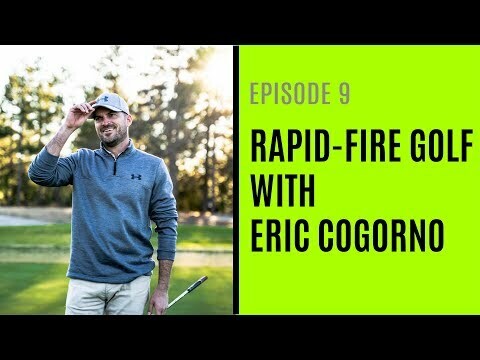 How do you know which one of those things is leading to your clubface being open? If you don’t give yourself feedback, you don’t know. Don’t guess on any of these things. If you’re watching this and you’ve been doing rotation drills or have been trying to rotate for a month, a year, a week, ten years, whatever, and you’re not able to rotate, I would be willing to bet you’re doing something earlier on that’s causing that. The ROTATION MASTER CLASS will explain all of that. 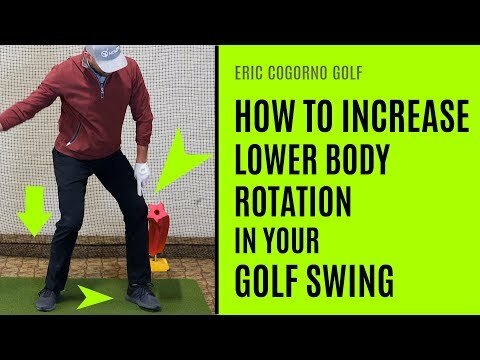 I recently started following and testing some golf specific exercises and one thing that has suddenly helped me a lot on the rotation issue – in a way like your videos about wrist bend – I’d to lead your rotation not with your front arm and shoulder but actually with your back arm and shoulder in particular. Really has helped me and made a huge difference suddenly. I say front and back as I am a leftie! Or at least in golf not in anything else. Hey Eric I have an issue with a lead arm Chicken wing, which I thing is caused by lack of rotation. Does the video series cover that aspect?? Eric, good stuff. The problem I see (and correct me if I'm wrong), but a stronger left hand makes it harder to bow the left wrist – almost promotes cupping (think about a strong left wrist at setup). Weaker left wrist seems to make it easier to bow the left. So, do you keep a stronger left hand, but not too strong? Thoughts? Shallow master class first or rotate first?